Looking for jobs, mainly work from home jobs, used to take hours of scanning the Sunday classifieds ads. Most often than not when searching for these work from home opportunities, you would find a get rich quick by stuffing envelopes ad. In today’s technology and internet connected society working from home is easier than ever before. That’s because companies have finally wised up and learned there is a substantial dedicated and educated group that wants to work from home. Call centers especially have learned that at home agents make it easier to staff their turbulent call volume. Here at Work From Home Ideas, we will post new and amazing opportunities which can be seen later on this page. First, we thought we should introduce a few key points about working from home. There are a lot of people who want to know how to work at home on the computer. Valid question one is why should we drive through rush hour traffic spending anywhere from 30 minutes to more than 1 hour traveling to a cubicle job? There really is no reason for this other than for companies to monitor their employes more. Meaning the big corporations have no trust in their employees but yet they demand that the employee is loyal to them. Well, the good news is some companies have finally gotten out of this old mentality. Or should I say ancient way of thinking. Finally, many companies realize that they are missing out on some fantastic talent from the stay at home mom’s to stay at home dads or people who are just fed up with the BS. Getting dressed up to sit in traffic to sit in a cubicle to then sit in traffic again to go home seems silly right? Now keep in mind these points. Online work from home jobs is going to require a few things. You have to live in a location where there is a high-speed internet. If you’re on old DSL or anything under 25 Mbps, then there is a chance working from home is not going to work for you. Especially if you have an internet based household from kids playing Xbox to streaming shows on Netflix, this can become an issue. This is due to most companies route their calls over what’s called VOIP. When a call comes to you, it’s not routed over the plain old telephone service like it used to be. VOIP for it to be a clear call requires an excellent latency rate, and if your kids are gaming and watching shows, this might get compromised. Not only does working from home require high-speed internet it needs a space that is closed off from the rest of your household. This is because you need a quiet and uninterrupted workspace. Businesses don’t want you to be on the phone with a customer, and the customer has to listen to kids screaming or dogs barking in the background. To begin with, you will have to have room to work in. 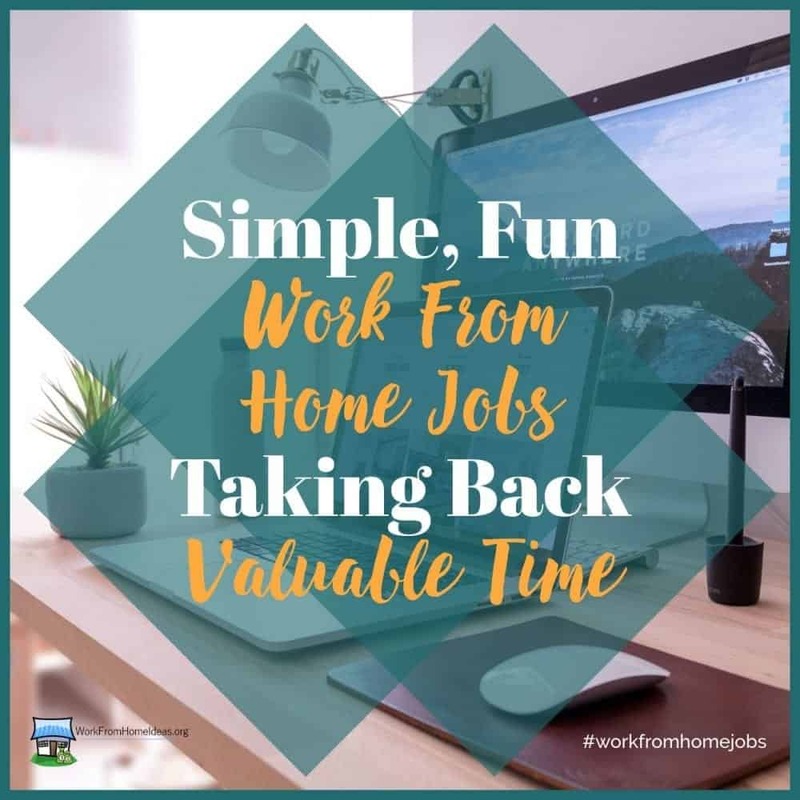 As a telecommuter working from home, you have to set apart a defined workspace that will help you get in the right mindset when working and to separate working time from entertainment time and family time. Moreover, a devoted workplace area sends a clear message to others for your household that you are doing work. However, you don’t want to surrender an entire room of your house. You may convert an unused closet into office area (there are even kits now that could assist), or just set up in a quiet nook of the household. I know of a few telecommuters who use folding screens to create a partition, blockading a part of a large circle of the family room and one using the dining room. Others set up a card table and a laptop in the basement. It’s your choice, and the idea is to create a quiet and professional working area. Not all opportunities are going to be easy to find. Some companies are local, and you’re going to need to know how to search for these work from home job opportunities through using Google. I am hoping to have a video on some simple search techniques that will have you finding all those local work from home jobs opportunities on your own. Keep checking back as I plan on posting this in the next week or two. If you don’t feel like doing all the google searches I will show you; you can always check this site as we plan on posting telecommuting and working from home opportunities on a regular basis. These three tips are geared towards a customer service representative one of the most common work from home jobs. Be Flexible – These companies are looking for representatives that are going to be flexible on their schedules. If you go in saying I can’t work this time or that time most likely you won’t get the job. If you have dealt with the public then you have done customer service work. Make sure your resume points that out. Learn about the company before you get a call. This shows that your highly interested in getting the job. If someone asks you what do you know about our company? Can you easily answer that question? Car insurance can go down drastically! Once you’re not commuting and not having to drive in all that crazy rush hour traffic, I have found I can save drastically on my car insurance bill. The loss of time is one of the most significant expenses of commuting, draining away hours you would possibly otherwise spend with cherished ones, exercise, enjoying pastimes, or any variety of other activities. By way of working from home, you can regain about 21 days per year on average from commute time, lunch time, breaks and time spent getting ready to go to an office environment. Look at what opportunities we have on this site. Working at home for a boss is not the only way to make money from home. You can start your own business or build passive income. Getting to save time every and take back days of your life every year should be a huge inspiration and drive to work from home or to build your own home business.